In this interview, Gwendolyn talks about the experiences she's had which gave way to the pieces she chose to record for the album, ORIGIN. Growing up, Gwendolyn spent a lot of time in her parents' music school. She began playing music at five-years-old. This, coupled with much travel, exposed her to folk and traditional music, and it grew a strong and passionate familiarity with it, especially in the virtuoso repertoire. Then as a teacher, Gwendolyn began to think progressively about how to give her students the opportunity to play these folk and traditional songs, (most of which they had never heard), without limiting them to the usual arrangements which call for either a large orchestra or only piano accompaniment. 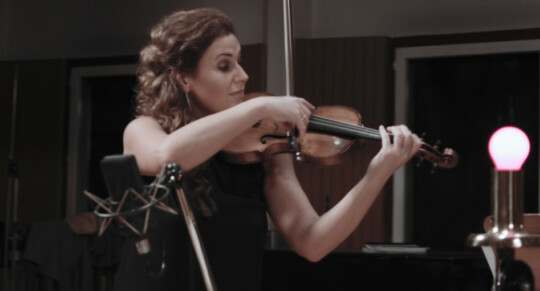 She aimed to honor the sound and life which these pieces have, while continuing the tradition which these songs carry.